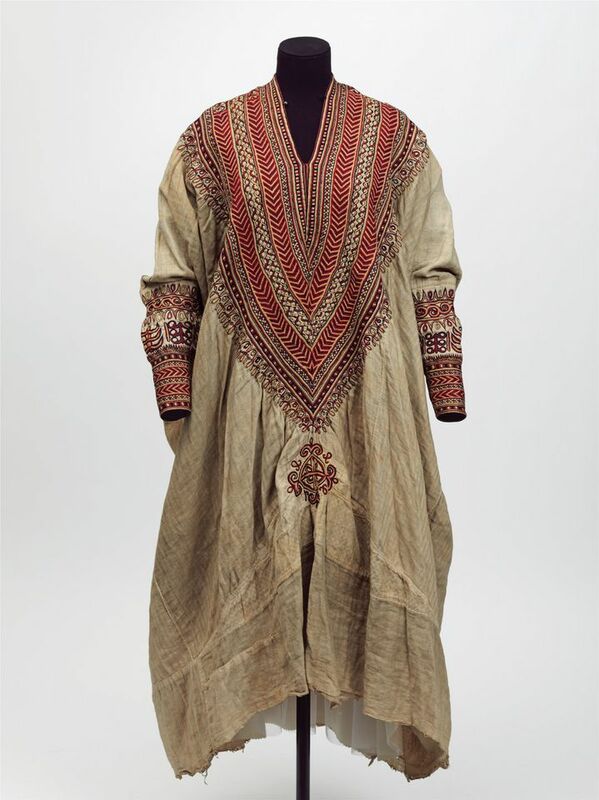 The most poignant item in the V&A’s Ethiopian collection is a white embroidered dress that belonged to 26-year-old Queen Woyzaro Terunesh, the second wife of Emperor Tewodros. Just 14 years ago, the museum’s website contained an outdated description reflecting the Victorian attitudes of British troops who plundered the emperor’s possessions and religious artefacts. In 2004, the V&A’s website described Tewodros as “a former bandit”. Even his suicide was portrayed in a negative light, saying that this was “to avoid capture”. There was no explanation of the dress or the fate of its owner—or why her dress had been “taken by British troops”. This description was seen by generations of curators, none of whom appears to have questioned it. As soon as The Art Newspaper published this description, it was removed from the V&A’s website. A spokeswoman then said: “We continually reassess the information on our website and object labels, and adjust the content if entries are inaccurate or misleading. In this case, we have amended the text.” The current web entry is brief, with little indication of the story behind the garment. Contemporary accounts record that the queen and her seven-year-old son had taken refuge in a hut, when British soldiers “were allowed to get in and grossly insult her”. After her husband committed suicide, another mob of officers were “rudely jostling each other in the endeavour to get possession of a small piece of [Tewodros’s] blood-stained shirt”. The queen was said to have appeared “silent and dejected”. A month after burying her husband, she died of a lung condition while in British custody. After her death, the queen’s dress was taken to Britain, where it became the property of the secretary of state for India (whose responsibilities included Ethiopia). The government donated the garment to the V&A in 1869 and it has remained in store almost permanently. The dress will be included in the new display. The cotton dress is ornately embroidered with silk. New research suggests that it was the queen’s wedding dress.